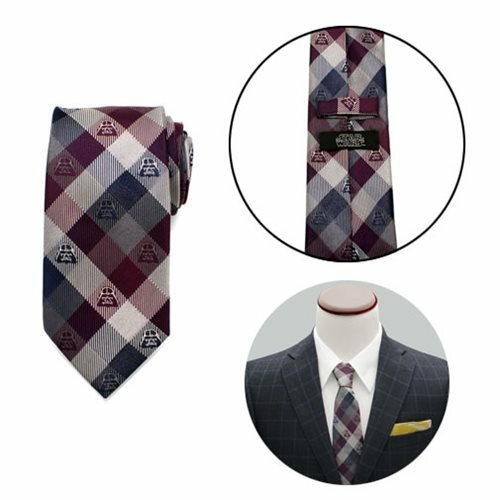 If you're looking for an awesome addition to your wardrobe, consider this Star Wars Darth Vader Plum Modern Plaid Men's Tie. This marvelous tie will have you looking sharp and professional, all while exuding your individuality. Made from 100% silk, it measures approximately 59-inches long x 3-inches wide.Ages 14 and up.